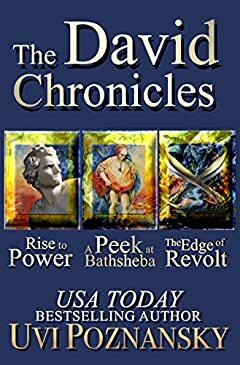 This is volume II of the trilogy The David Chronicles, told candidly by the king himself. David uses modern language, indicating that this is no fairytale. Rather, it is a story that is happening here and now. Listen to his voice as he undergoes a profound change, realizing the magnitude of his sin, and the curse looming over his entire future. This is volume III of the trilogy The David Chronicles, told candidly by the king himself. David uses modern language, indicating that this is no fairytale. Rather, it is a story that is happening here and now. If you like ancient historical fiction about court intrigue, this king David novel has a modern twist like no book you have read before.